On October 19th 1995, Mr. Bernard Borrel a French magistrate working as an adviser for the minister of Justice of Djibouti, was found dead in the desert. His body was partly carbonized. The local police concluded that he committed suicide. In April 1997, Ms. Elisabeth Borrel the widow of the deceased, obtained the opening of a criminal investigation for murder. In October 1997, two investigative judges based in Paris took over the investigation. In January 2000, one of the judge interrogated in unclear circumstances a key witness in Brussels. On March 13th 2000, Ms. Elisabeth Borrel with her lawyer Me Olivier Morice announced during a press conference that they requested the minister of Justice to launch an internal investigation because the ongoing criminal investigation was neither prompt nor effective. 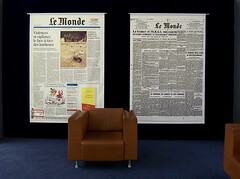 On March 14th 2000, Liberation published an article on the press conference. On November 14th 2001, the appeal court of Versailles condemned Liberation and its head Mr. Serge July for defamation to a single fine of €1,500 and to pay together damages of €3,000 to the two investigation judges. On February 14th 2008, the ECHR ruled in case July and Liberation (20893/03) that the condemnation was a violation of article 10 of the Convention. On June 21st 2000, the investigation chamber of the appeal court of Paris ordered a new investigative judge to take over the criminal investigation. On September 6th 2010, Me Olivier Morice informed the minister of Justice that the two judges didn’t communicate a videotape to the new judge. He added that the investigation file contained a very unusual personal letter of the district attorney of Djibouti to one of the investigative judge. He requested the opening of an investigation by the internal affairs of the ministry of Justice. On September 8th 2000, Le Monde published an article on the letter of Me Olivier Morice to the minister of Justice. After a first ruling of the court of appeal of Versailles was quashed by the supreme court, the appeal court of Rouen condemned Me Olivier Morice for defamation to a fine of €4,000 and to pay together with Le Monde, damages of €7,500 to the two investigative judges. On November 10th 2009, his appeal to the supreme court (Cour de cassation) was rejected (case 08-86295). 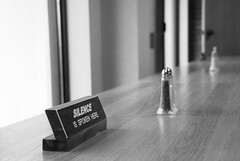 On May 7th 2010, Me Olivier Morice filed an application with the ECHR arguing that his condemnation for defamation was a violation of article 10 of the Convention and that the ruling of November 10th 2009 by a judge of the supreme court, publicly supporting one of the investigative judge was a violation of article 6-1 of the Convention. On September 6th 2010, the application was communicated to the agent of the French Republic with questions to be answered before 16 weeks. The applicant is represented by Me Julien Tardif and Me Claire Audhoui, both not available for comments. In 2003, a book on the Borrel case, Omerta 2003 written by Ms. Sophie Floquet was published by Albin Michel headed by Mr. Francis Esmenard. On April 25th 2003, 2 investigative judges pressed charges for defamation. On December 13th 2006, the appeal court of Versailles condemned the applicants for defamation to a fine of €2,000 each and to pay together damages of €5,500 to the two investigating judges. On November 18th 2007, their appeal to the supreme court (Cour de cassation) was rejected (case 07-80504). In 2008, the applicants filed an application with the ECHR arguing that their condemnation for defamation was a violation of article 10 of the Convention. On June 15th 2010, their applications was communicated to the agent of the French Republic with questions to be answered before 16 weeks. 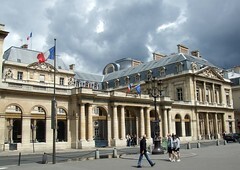 On January 10th 2012, the 5th section of the Court ruled that the application was inadmissible on the ground that the allegations contained in the book Omerta 2003 were detrimental to the public image of the French “judicial institution” and the condemnation was necessary to protect the reputation of the French “judicial institution“. In its observations, the agent of the French Republic didn’t challenge the veracity of the allegations regarding the criminal investigation on the death of Mr. Borrel. Ms. Sophie Floquet was represented by Me Antoine Comte and Mr. Francis Esmenard by Me Christophe Bigot. On October 26th 2010, the press office of the European Court of Human Rights has confirmed that all interim measures applications (art. 39 of the rules of the court) requesting a suspension of a deportation order (under Dublin regulation) of an asylum seeker to Greece are currently granted. This policy will be in effect until a ruling of the Court in the case M.S.S v. Belgium and Greece (30696/09). A public hearing on the case took place on September 1st 2010. None of the French N.G.O (ASSFAM, La Cimade , Forum Réfugiés, France Terre d’Asile, Ordre de Malte France and Anafe) mandated by the French government to provide legal assistance to asylum seekers in immigration detention centers answered our e-mail for comments. On October 8th 2007, Mr. Alain Esseau the wine producer of Domaine des Debeaudieres received an order to pay €1,880.64 of membership fees to the association of wine producer CIVN following a judgment in absentia of September 24th 2007 of the local court of Nantes. On October 24th 2007, he asked for a retrial, and on September 19th 2009, the local court confirmed its ruling and ordered him to pay membership fees to Interloire (ex-CIVN). 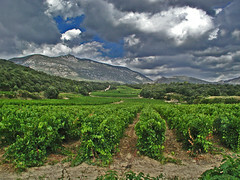 Under the article L632-6 of the rural code, wine producers have the obligation to be member of the regional wine producer association and to pay mandatory membership fees. On August 5th 2010, the applicant filed an application with the E.C.H.R (see below) arguing that the mandatory membership to Interloire was a violation of article 11-2 of the Convention. The applicant is represented by Ms. Marie-Ange Hegron of the N.G.O CDVI. On March 7th 2004, Mr. Michel Malon was arrested following his deportation from the Dominican Republic. On March 11th 2004, he was charged for complicity to murder and placed in detention at the local jail of Luynes pending investigation. On August 5th 2008, the request to be release of the applicant of July 21th 2008 was rejected by the investigation court. On September 26th 2008, the applicant was acquitted of complicity to murder. He was released from the local jail of Luynes the same night. The district attorney appealed his acquittal and a new trial will be taken place in November 2010. On September 2th 2009, his lawyer was notified that his appeal of the investigation court ruling was rejected by the supreme court (Cour de cassation). On March 1st 2010, the applicant filed an application with the E.C.H.R (See below) arguing that his detention of 4 years and 6 months pending investigation and awaiting trial was a violation of article 5-3 of the Convention. On June 21th 2010, the application was communicated to the agent for the French governement with questions to be answered before September 15th 2010. The agent was granted an extension up to November 20th 2010 to answer. The applicant is represented by Me Bruno Rebstock. In March 2010, a report was published by the controller general of detention facilities (the national preventive mechanism of OPCAT) on his visit of the local jail of Luynes in January 2009. On February 15th 2011, the Court forced the applicant to accept the proposal of French government of €4,000 to settle the case and strike out the case. The settlement awards the applicant €2,47 per day of detention. On 7t h June 1999, the applicant was arrested for “attempted murder” and placed in police custody. The next day, he was put under oath and interrogated before he could meet his lawyer. On 9th June 1999, he was suspected of complicity to commit murder and detained in jail pending investigation. On December 8th 2001, he was released on his own recognizance. On March 1st 2002, the charge was changed to “aggravated assault“. On October 31st 2002, he was condemned for “aggravated assault” by the tribunal of Paris to 5 years in jail. On October 26th 2004, his appeal to the court of appeal of Paris failed. The court motivated its ruling with the judgment of the tribunal of Paris. On June 27th 2006, the supreme court (Cour de cassation) rejected his appeal. On December 26th 2006, the applicant lodged an application with the Court arguing that to be put under oath was a violation of articles 6-1 and 6-3 of the Convention, that the lack of new motivation of the court of appeal of Paris was a violation of article 6-1 and that his detention of 2 years and 6 months pending investigation was a violation of article 5-3. On March 24th 2009, the application was communicated to the agent for the French government. On September 29th 2009, the applicant requested the Court to organize a public hearing on the case. It was rejected by the Court. On October 14th 2010, the Court ruled that to put a suspect under oath was a violation of the right to remain silent and the right against self-incrimination, so there were violations of articles 6-1 and 6-3. The Court found the other allegations of violation of the Convention to be inadmissible. The applicant was represented by Me Patrice Spinosi who didn’t return our emails for comment. The Court also reminded that the right to meet his lawyer prior to any police interrogation, and then to be assisted by his lawyer during these interrogations were both guaranteed by article 6 of the Convention. Under article 626-1 of the code of penal procedure, the applicant can now request from a special commission, a new trial to redress the violation of article 6 found by the Court. 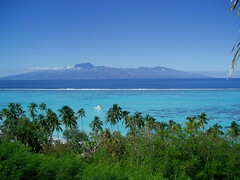 French Polynesia is an overseas country of the French Republic. The coutry has its own president, ministers, national assembly, flag, currency, phone area code and is home to many local languages (Tahitian, Marquisian, Paumotu, Mangarevian) widely spoken by the population and authorized to be used in legal contract and business transaction (art. 57 law 2004-192). French is the language of the French Republic (art. 2 of the Constitution) and the official language of French Polynesia (art. 57 law 2004-192). On May 13th 2005 a resolution 2005/559 was passed by the national assembly allowing any of his members to use French or any Polynesian languages in their speech. On March 29th 2006, the administrative supreme court (conseil d’etat) ruled that the resolution was canceled. On September 28th 2006, the applicant filed an application with the E.C.H.R arguing that the forbidden use of Tahitian in the national assembly was a violation of articles 10,11 and 14 of the Convention. On September 21th 2010, the Court ruled the application inadmissible ratione materiae. The applicant was represented by Me Philippe Temauiarii Neuffer. 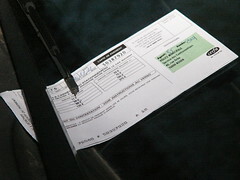 On January 20th 2009, a parking ticket was issued for the car parked by the applicant at Montigny-le-Bretonneux. A fine notice was sent to the applicant son’s who had registered the car. On March 5th 2009, the applicant requested the prosecutor to dismiss the proceeding against his son and open proceeding against him under art. 529-10 1-b) of code of penal procedure. He also requested to be prosecuted to challenge the legality of the parking ordinance in court. On June 15th 2009, the prosecutor rejected the applicant request. But after a new request was made by the applicant, the prosecutor informed him on July 31th 2009 that the case was sent to the court and that he will be served. But on October 28th 2000, a notice for repossession for €33 was served for his son. On May 21th 2010, a final notice for €40,5 was served. On May 27th 2010, the fine was paid by the applicant for his son. On July 9th 2010, the applicant and his son filed an application with the E.C.H.R arguing that the refusal of the prosecutor to schedule a hearing in court was a violation of articles 6-1 and 13 of the Convention and that the condemnation by a prosecutor and not a court was a violation of article 6-2. The applicants are advised by Me Philippe Yllouz. On September 29th 2010, the application was communicated to the agent of the French Republic with questions to be answered within 16 weeks. On the same day, the constitutional council found that the lack of judicial review of the decision taken by the prosecutor was a violation of the Constitution (case 2010-38 QPC). In February 2007, the president and the general secretary of the municipal police union USPPM distributed a document to the city council members of Vendays Montalivet and key citizens, to inform them of their opinion on a work conflict between a member of their union and the mayor of the city. On July 18th 2007, the tribunal of Bordeaux condemned the applicants for “public defamation” to a fine of €1,000 and to damages of €2,500 each to be paid to the mayor. On February 1st 2008, their appeal to the court of Bordeaux failed. On December 9th 2008, the supreme court (Cour de cassation) refused to hear their case. On June 5th 2009, the applicants filed their case with the E.C.H.R, arguing that the judgment was a violation of articles 10 and 11 of the Convention. On June 14th 2010, the application was communicated to the French government with questions to be answered within 16 weeks. The applicants are represented by Me Dorothee Le Fraper du Helen and Me Sophie Baumel who refused to give any information or comment on the case. On October 6th 2011, the Court found a violation of article 10 of the Convention and condemned the French Republic to pay €4,000 of damages to the applicants. On July 31th 2008, a court mandated architect Jean-Paul Lanquette submitted his report on the detention conditions in the jail of Clermont-Ferrand. The jail is composed of 19 cells of up to 12 detainees with no closed bathroom or mechanical ventilation. On December 1st 2008, 3 detainees pressed charges to the local district attorney for “degrading conditions of detention” prohibited by article 225-14 of the penal code and violations of articles D349 to D358 of the code of penal procedure. No investigation was opened and no decision was taken by the local district attorney. On January 20th 2009, the Cour de cassation ruled that article 225-14 of the penal code couldn’t be applied to detention conditions in jail. On August 31th 2010, the Court found SAF didn’t have the quality of victim (art. 34) and found inadmissible the allegations of violations of articles 2,5,6-1 . The Court communicated the application to the agent of French Republic with questions to be answered before January 5th 2011. CGLPL the national preventive mechanism of OPCAT, informed of the detention conditions by the lawyer of the applicants refused to visit the jail of Clermont-Ferrand. His office didn’t return our e-mail for comment. On November 14th 2007, Mrs Rivet a citizen of Cameroon, wife of a French citizen, obtained from the prefecture of Charente a family reunification permit for her two children Rene and Leopoldine living in Cameroon. Leopoldine is suffering from chronic neurological problems. 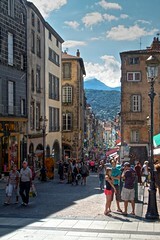 On November 27th 2007, the immigration agency transmitted the permit to the consulate of France in Doula. On January 23rd 2008, the applicant applied for immigration visas for her two children. On June 6th 2008, the consulate rejected her application. On July 2nd 2008, the decision was notified to the applicant. On July 15th 2008, the applicant appealed the decision to the appeal agency for visa denial (“commission de recours contre les refus de visa“) which rejected her appeal without notification. On August 25th 2008, she sought an emergency order and appealed the decision of the appeal agency to the administrative supreme court (conseil d’etat). On September 23rd 2008, her emergency order application (case 320022) was rejected on allegation of fraud. On December 16th 2008, she did a DNA paternity test with her 2 children. The result stated that she was the mother with an accuracy of 99.99%. On April 9th 2009, the applicant filed their application with the E.C.H.R (see below) arguing that the denial of visas was a discrimination based on national origin, together violations of articles 8 and 14 of the Convention, that the length of the proceedings at conseil d’etat was a violation of article 6-1, and that the emergency order application was not an effective remedy in violation of article 13. The appeal of the decision of the appeal agency was rejected by the administrative supreme court (conseil d’etat) on April 9th 2009 without a public hearing. The decision didn’t even mention the DNA paternity test. On September 13th 2010, the N.G.O GISTI submitted a amicus curiae brief to the Court. On July 12th 2010, the case was communicated to the agent of the French Republic, along with questions to be answered before November 3rd 2010. The applicant is represented by Me Jean-Eric Malabre. In 2006, only 486 appeals of visa denial were made to the conseil d’etat (report of the French Senate). For the same year, around 300,000 visa denial decisions were officially taken. In 2010, N.G.O Cimade published a report on visa denial decisions.